Eventually Ughi mustered the courage to ask to play with Carter, starting with a few house concerts. “I used to have a nice apartment in Park Slope with a view of the twin towers, and we started doing house concerts. And that's how 577 started. It was the address, 577 Fifth Avenue, Brooklyn.” “It was really informal, sometimes there was nobody, sometimes there were a lot of people. We did it a few times and we liked it, and we started the label.” The first record on the label was an Ughi/Carter collaboration. This is in direct contrast to the enormous playing surface to interact with of the drums, where the speed, force, approach and tool have so much influence on the tone of the sound. And for me this is at the heart of Duo, Snyder and Ughi's (unsurprisingly two person) collaboration. 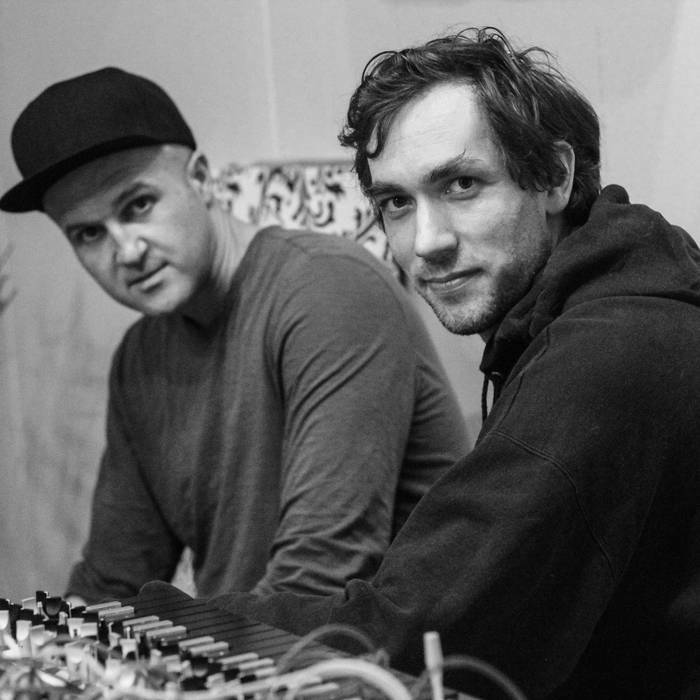 The tension between Snyder's work to bring expression and improvisation to new electronic instruments, and Ughi's willingness to accompany and build from that. “That's true” chips in Snyder “but that was a real stretch for me. The band was already formed with a bass, and I came in without jazz training. And there were a lot of times when I wished that I could just walk on changes, but I didn't know what I was doing. But it meant I brought an energy that was really different, and it was such an enjoyable group.” Along with Richard Teitelbaum, Snyder has been one of the pioneers in his keenness to cross-over between electronics and jazz into new and interesting places. Most importantly, they're both excited to gather and see some great combos and play with all their friends at the festival. 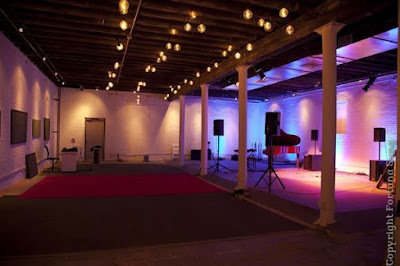 It's a little like a celebration, a family reunion, and their own version of Christmas and to celebrate in a concentrated event together.And it's also an opportunity to hear and see people who they don't always get to, with players coming from England and Denmark as well as the metro area. 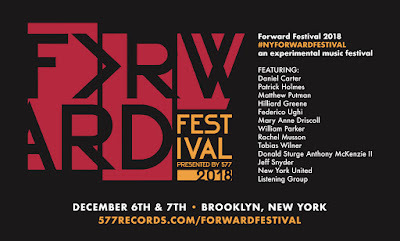 Like all good things, the Forward Festival started as a one-off for a special occasion with no longterm ambitions, and from there stuck. And aren't we glad! 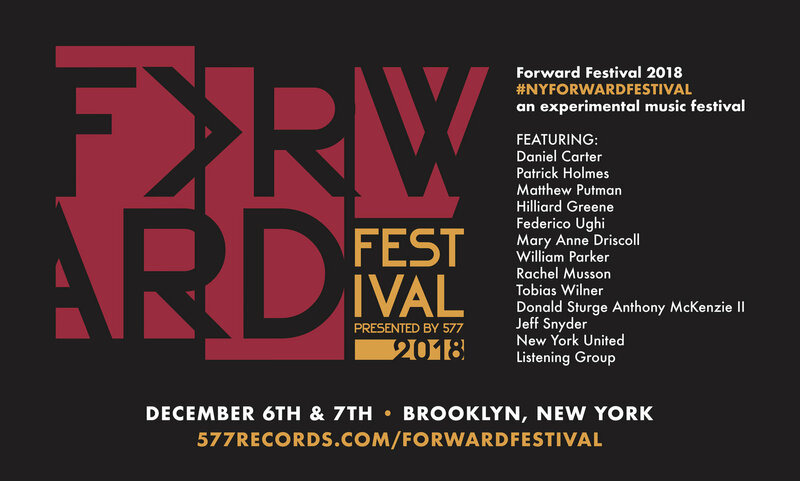 The Forward Festival takes place at Shapeshifter Lab in Gowanus, Brooklyn on Thursday 6th and Friday 7th of December. Jeff Snyder and Federico Ughi are opening the festival with a trio, accompanied by another electronic performer, the impeccably tasteful Cenk Ergün. The Listening Group finish the Thursday night session. Daniel Carter and Federico Ughi appear three more times over the two evenings in different projects and combinations.